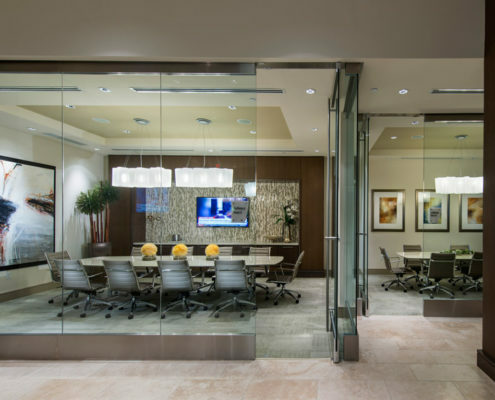 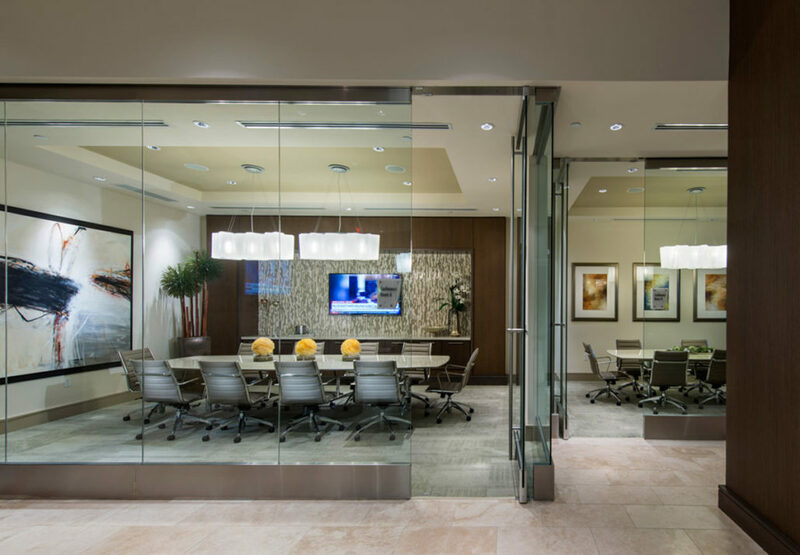 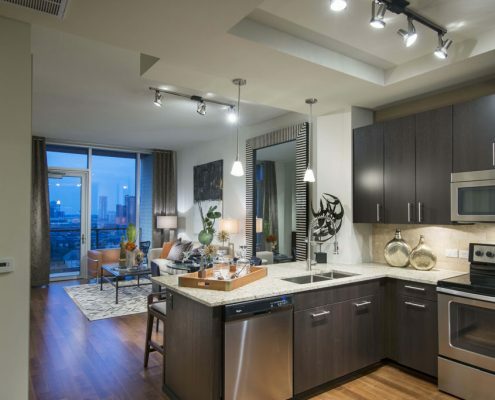 Nestled in the heart of Uptown near the Galleria in Houston, Hanover Post Oak is within arm’s reach of some of the city’s finest culinary, retail, and entertainment centers – attracting the successful urban professional. 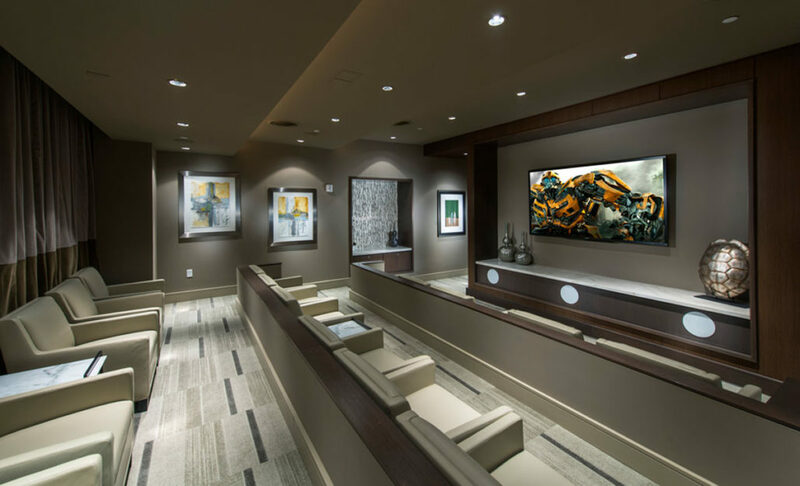 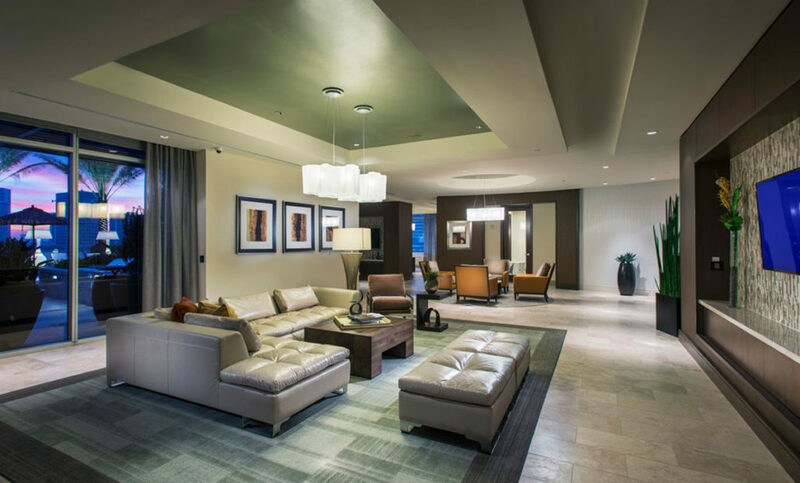 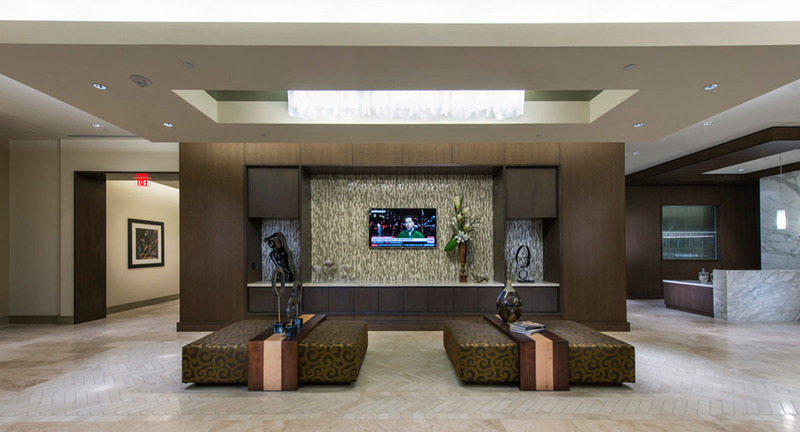 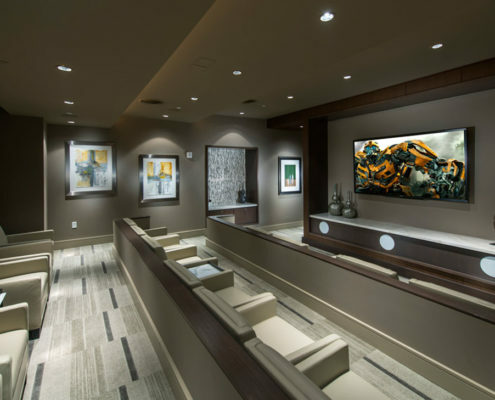 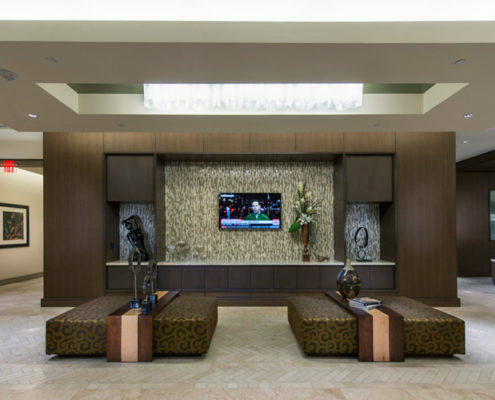 Subtle pops of color, one of a kind artwork, and custom furnishings embellish an already exquisite building detailed with refined and upscale finishes. 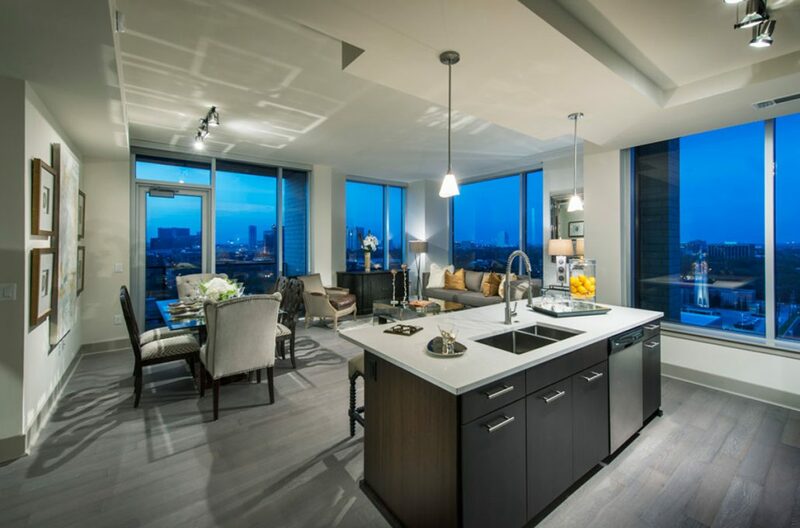 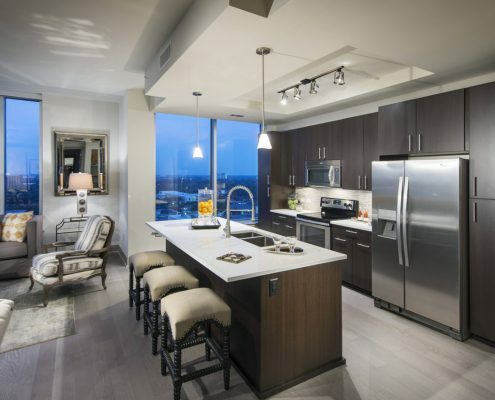 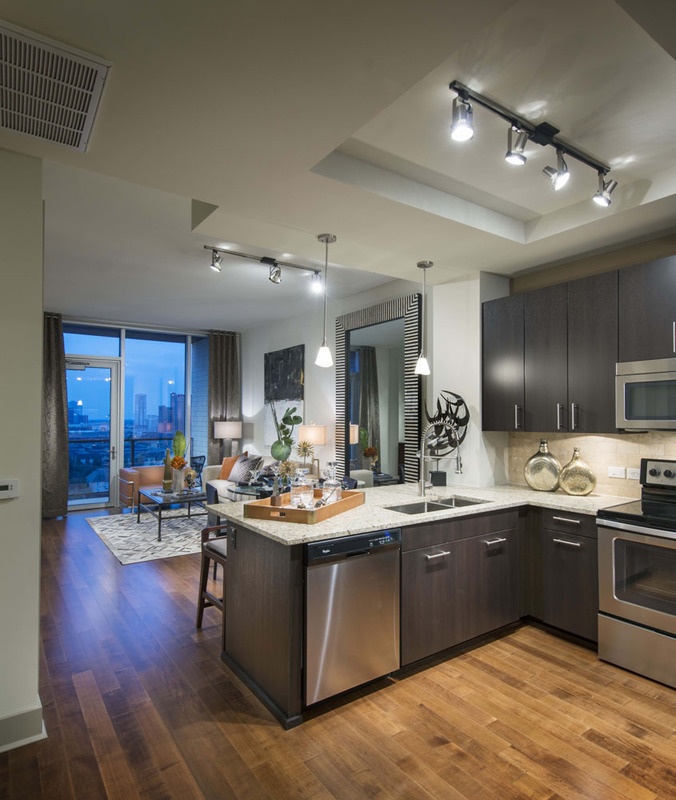 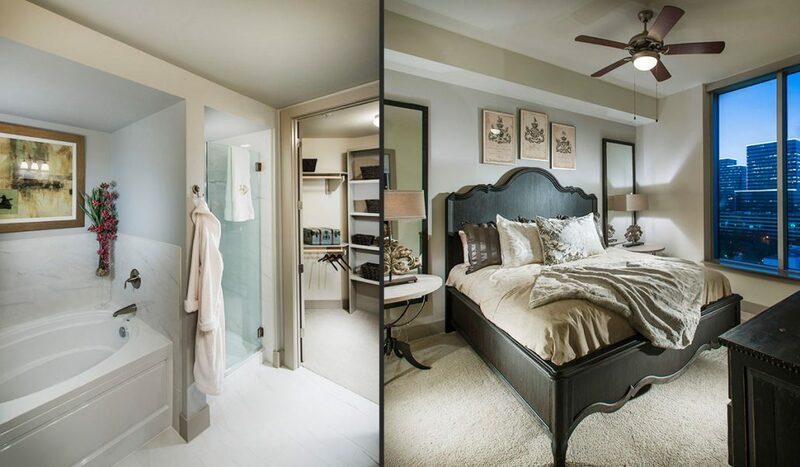 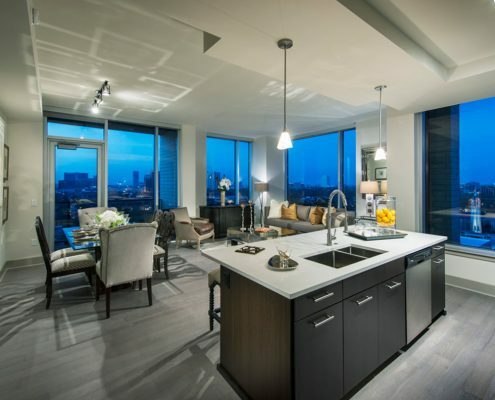 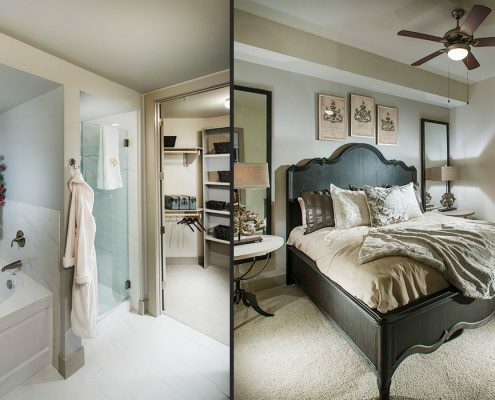 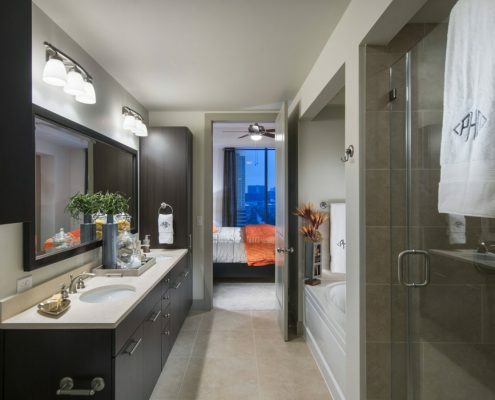 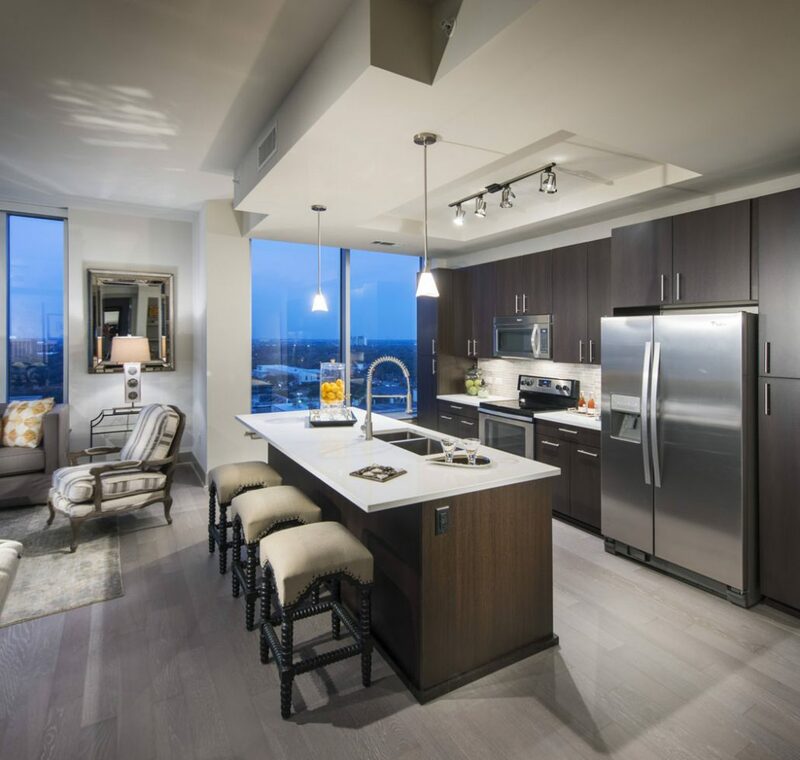 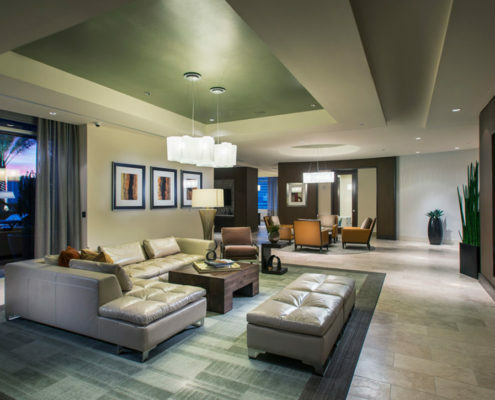 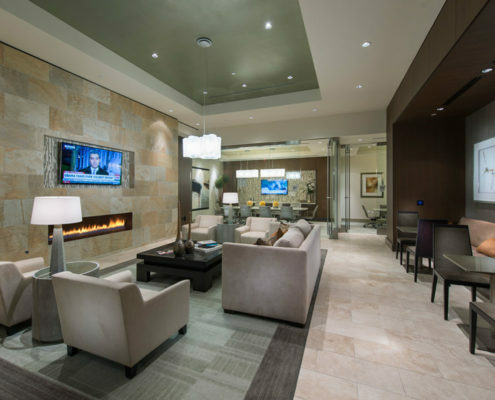 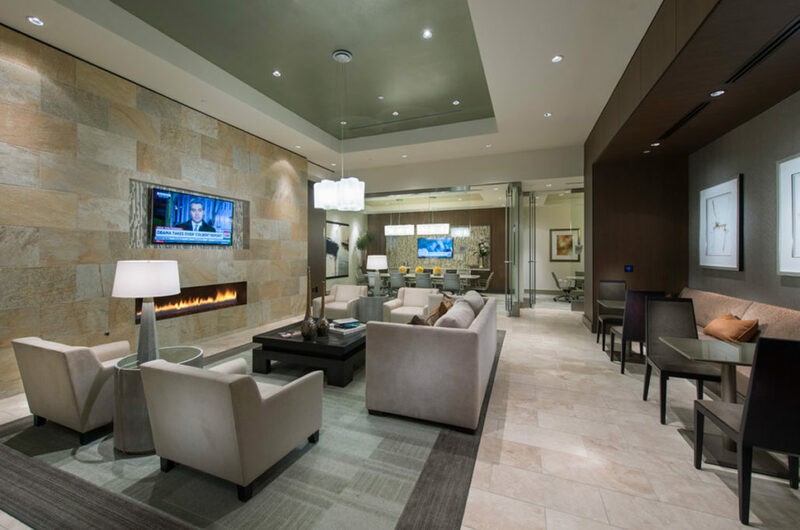 Hanover Post Oak high-rise apartments offer panoramic city views and lavish living spaces. 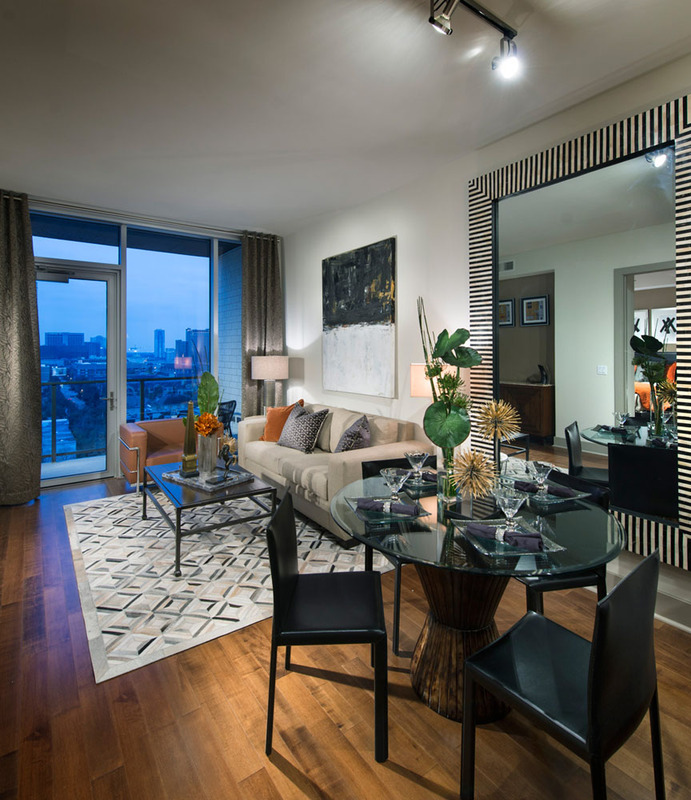 A classic style chair and contemporary furnishings paired with transitional design elements accentuate the one-bedroom model unit’s spacious living quarters – leaving a timeless aesthetic. 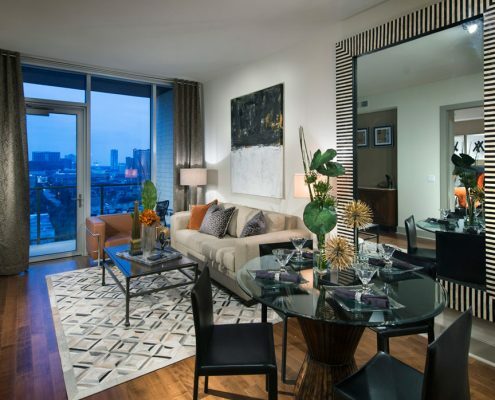 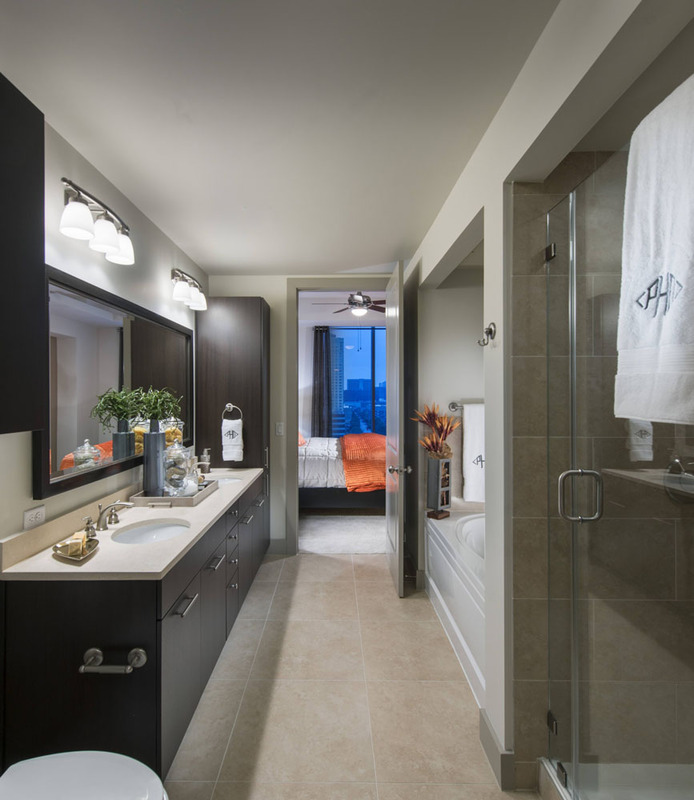 A neutral palette of color created a special kind of elegance and sophistication within the two-bedroom model unit – carefully balanced to not distract from the spectacular city views.